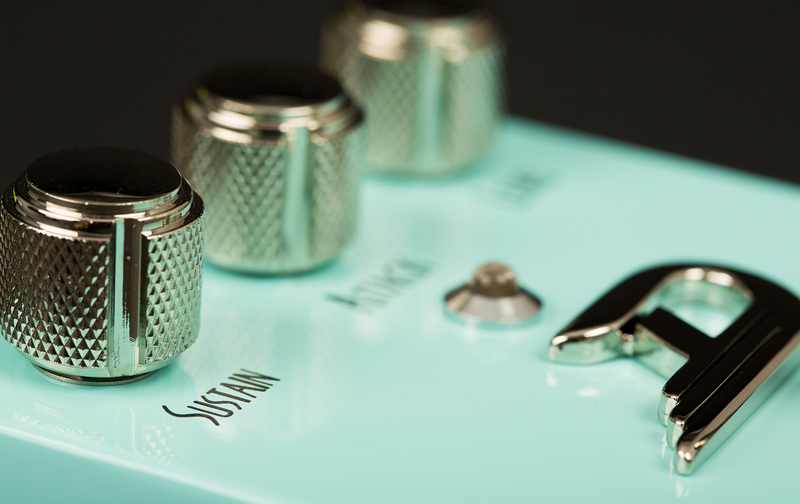 The Green Comp helps the guitar attain a fat and balanced sound, brilliant overtones and a creamy sustain that – at certain settings – seems to last forever. No country musician can afford to be without a compressor/sustainer, and even in the blues and rock genres, this useful tool has become standard on pedal boards for the way that it improves sound and boosts solo parts. 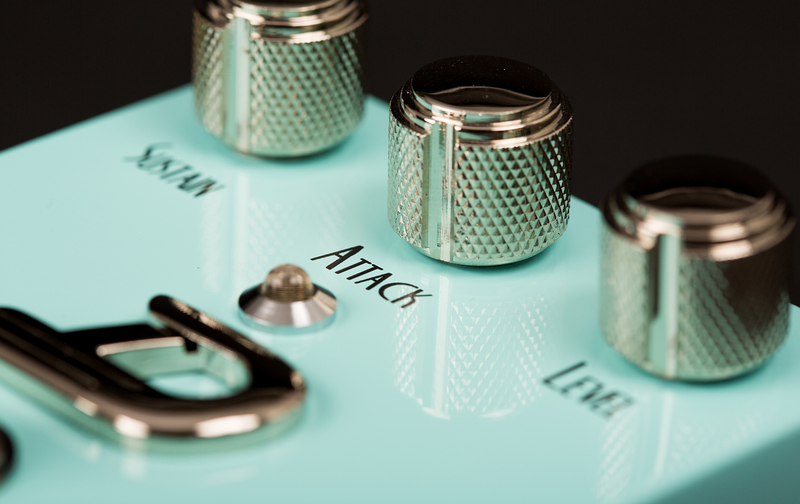 Our technicians have combined into one their knowledge of traditional compressor sounds and their understanding of solid construction techniques in order to make a pedal that is satisfying to use even under hard live-play conditions. 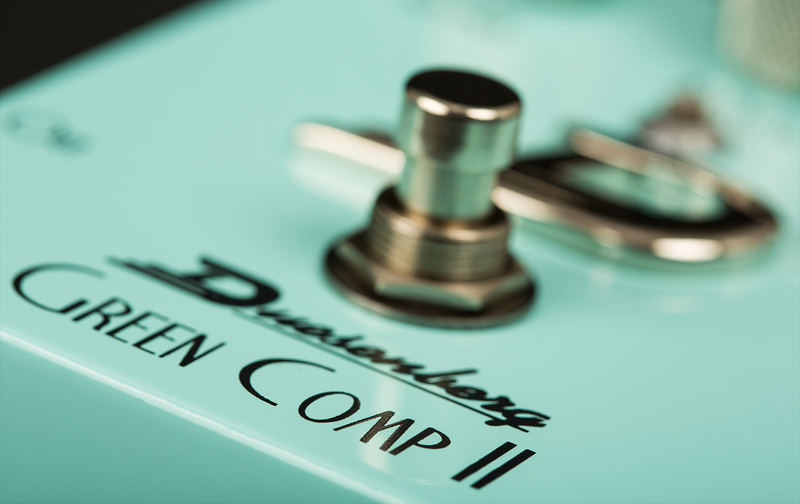 Because of effective True Bypass electronics, the Green Comp II in its inactivated state remains absolutely sound-neutral. 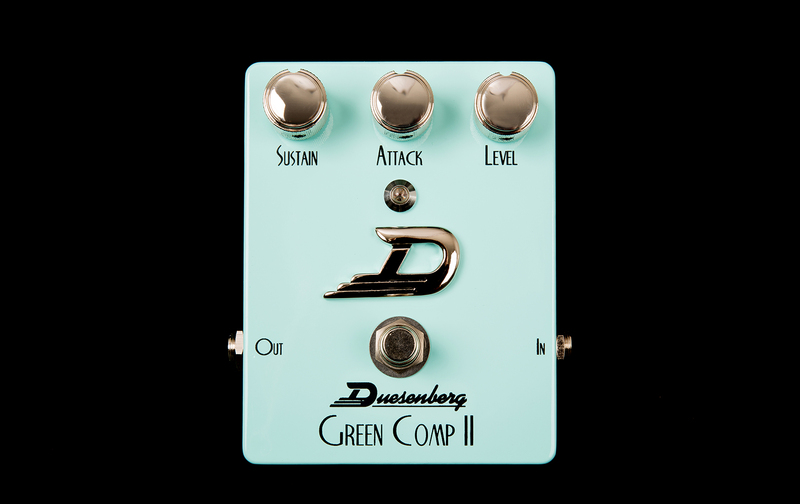 Like all Duesenberg effects, the Green Comp II is built according to the highest technological standards, is simple to use and built to withstand wear and tear on the road.